The place where you can find full information about every pokemon in the game, detailed walkthroughs, tips and secrets, cooking, recipes and decoration guide and more. Join our community! Pokemon Quest is exciting and high-level enjoyable strategy RPG game for mobile devices on Android and iOS and, also, on Nintendo Switch platform. In Pokemon Quest, you play as pokemon trainer whose main goal is to create a powerful team and complete 10 location journey. A player is able to collect 151 different pokemons, teach them new moves, evolve and check different tactics by using different pokemon types. Here at PokemonQuestGame.com we collected all information about every aspect of the game. Users can find all information about every pokemon, detailed walkthrough, useful guides and tips, all cooking recipes and latest Pokemon Quest news. Also, we are working on creating social functional on the website, that will provide users ability to share own experience and ask for help. 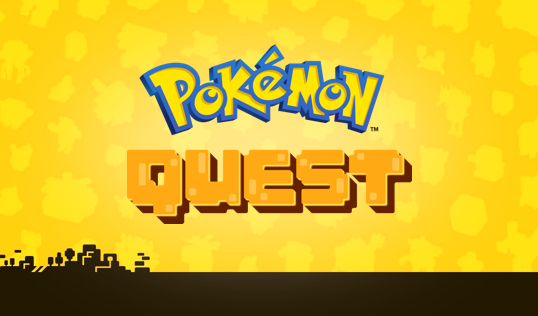 We love Pokemon Quest game and really enjoy every minute spend on playing it!